In honor of what would be Albert Einstein’s 132nd birthday today, Open Road has published seven digital books by the iconic physicist, including The Theory of Relativity and Other Essays, exclusively in Amazon Kindle store. These new Kindle editions are enhanced versions with new photographs and biographical information, as well as introductions written by Neil Berger. The Kindle versions range from $7.99 – $9.99 each in price and can be purchased at Amazon’s Kindle Store. 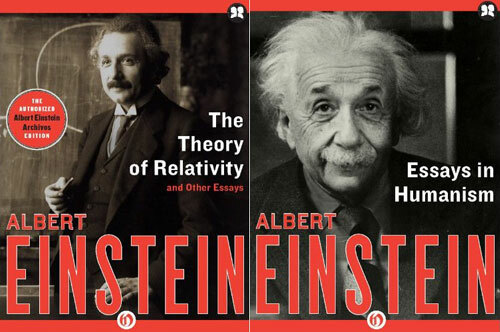 According to Open Road, this selection of Einstein books was designed for readers interested in Einstein’s seminal works in physics, his collaborations with colleagues, and his broader philosophy. The seven digital works that are exclusive to the Kindle Store are listed below, along with descriptions and the direct links to the product pages.